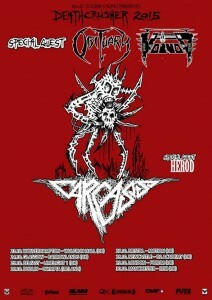 After having just supported Faith No More on some US dates and in addition to the previously revealed European dates for the “Deathcrusher Tour” 2015, which sees UK Grindcore pioneers NAPALM DEATH join up with headliners Carcass, Obituary, Voivod as well as Herod, a string of UK/Ireland dates has now also been announced for this fantastic tour. NAPALM DEATH continue to promote their 15th and much praised studio album release “Apex Predator – Easy Meat”, which managed to enter the sales charts in several countries across the world upon release in January with the following highest positions: Germany: #36, Switzerland: #64, France: #69, Greece: #60, Belgium (Flemish): #103, Belgium (Wallonia): #111, UK: #120, UK Rock Chart: #15, US Top 200: #113, US New Artist Top 50: #2. 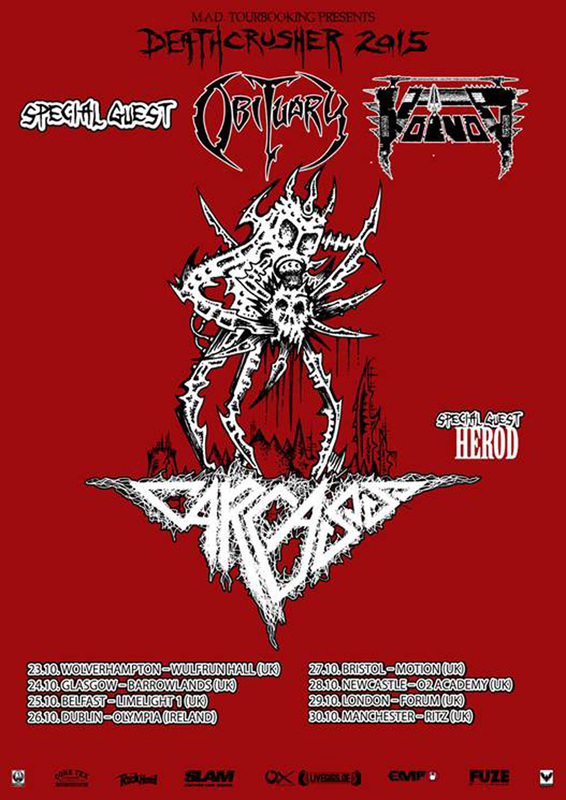 NAPALM DEATH are currently working on a next promotional video-clip as well as on a 7” EP release together with their label- and tour-mates VOIVOD for a late October release, in good timing for the upcoming “Deathcrusher” dates. Stay tuned for more news soon.